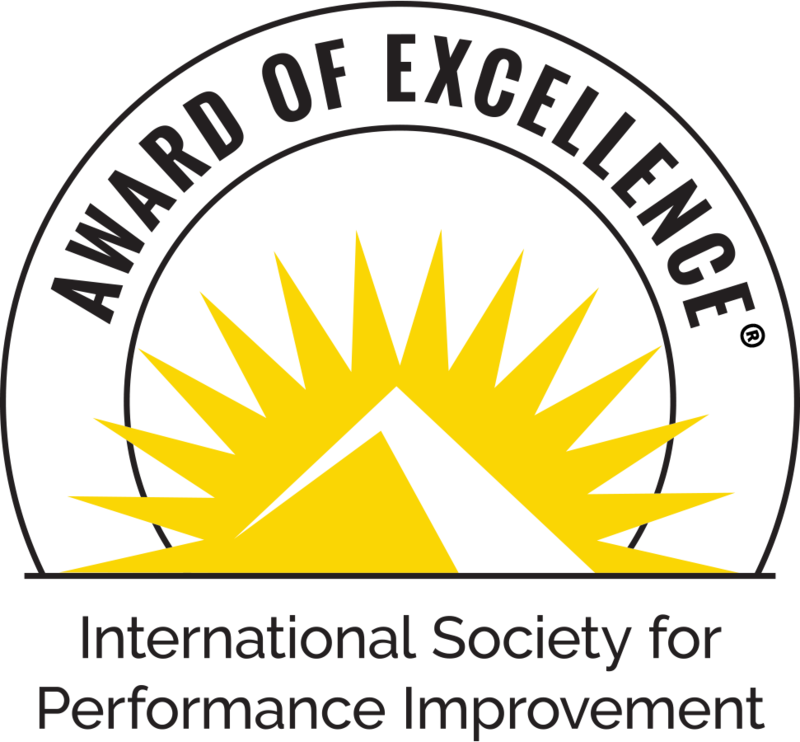 An award for a communication that enables individuals or organizations to achieve excellence in performance improvement. Your submission will be evaluated for its alignment with, and support of, ISPI’s Mission and Guiding Principles; for the quality of its results, organization, usability, practicality, delivery, and distribution; and for its availability, originality, innovation, and creativity. Provide supplemental materials (5 copies) such as a textbook, manual, or other documentation that cannot be submitted electronically to ISPI (see mailing information below). These copies will be used for award evaluation and display at ISPI's Annual Conference, if applicable. Display the actual communication (or a mock-up/alternative if confidentiality is a concern) at the annual conference, if this option is available.